Who's a good boy?! You can't deny the lovability of this perfectly imperfect pup. Adult Swim's favorite polarizing pet is anything but innocent, but you'll welcome this detailed figure in with an open smile once you look into those puppy eyes. Mr. Pickles adds a dash of demonic charm to your collection to spice up your home with man's best friend ... and worst nightmare. Just try and say no to this adorable mutt who just happens to be possessed by the devil. 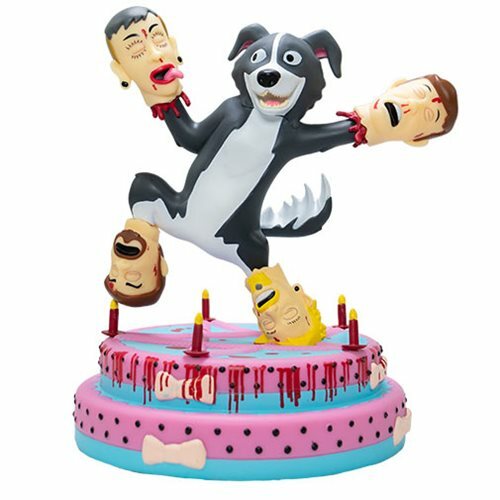 This Adult Swim Mr. Pickles Medium Vinyl Figure measures about 10-inches tall x 6-inches long.